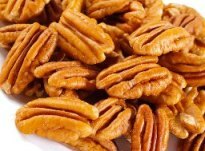 "Delectable Addictions offers the finest line of gourmet food mixes that allow people to make delicious homemade meals without the hassle of difficult and time-consuming recipes. Our line features unique and exclusive gourmet recipes made with only the finest ingredients. 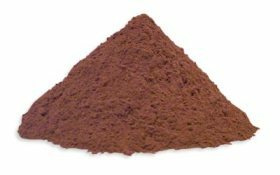 The mixes are hand crafted in small quantities so they are always fresh for your safety and enjoyment. 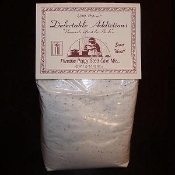 Delectable Addictions mixes are simple and easy to make. We work hard in our kitchen so you don't have to in yours." What we thought: We sampled a variety of products from Delectable Addictions, including 4 dip mixes, 2 soups and a cake. 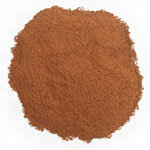 All of the products were quick and easy to make, most of them with few extra ingredients. The dips were fantastic and would be great to whip up for this fall's football parties or the upcoming holidays. 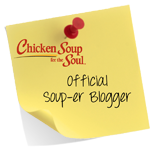 The soups were very filling...we especially enjoyed the flavor of the super simple potato soup. The cake was really good too and we finished the whole thing (which rarely happens in our house). The variety at Delectable Addictions is pretty impressive and their pricing is just right. ABCD Diaries gives Delectable Addictions mixes an A+! Check out Delectable Addictions Facebook page for the latest news. Thanks to the fine folks at Delectable Addictions, we are giving away a prize pack with 4 dip mixes, 2 soup mixes and a muffin mix. 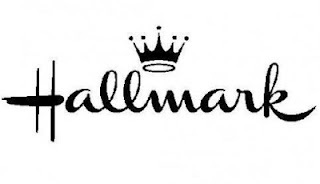 We reviewed samples of each of these products and they were all fantastic! 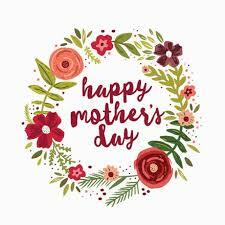 More Than Alive not only sells bulk spices, teas, nuts and other baking products, but they provide tons of healthy living recipes and articles on their easy to navigate website. All of the products we reviewed were very high quality and the prices are competitive. The variety of products available from More Than Alive is pretty awesome. 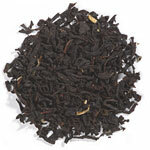 If you are interested in enjoying a healthy lifestyle by incorporating organic products, check out More Than Alive.com. ABCD Diaries gives them an A+! 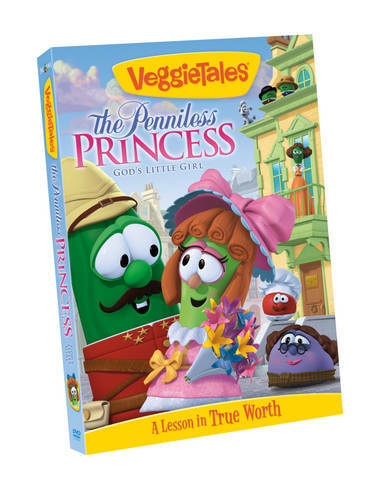 "The all new-title from Big Idea Entertainment, VeggieTales: The Penniless Princess—God’s Little Girl became available on August 14th. VeggieTales: The Penniless Princess—God’s Little Girl is the heart-warming story based on the children’s book A Little Princess by Frances Hodgson Burnett. The story, featuring plenty of engaging and fun music fit for families, including the all-new Silly Song “Best Friends Forever” and the featured song “No Matter What,” helps to teach an important lesson about knowing your own true worth and trusting God, no matter what happens in life. Singer/Songwriter Ronnie Freeman and VeggieTales joined forces to compile a music video titled “Orphan”—a beautiful song that celebrates our "adopted" status as part of God's family. The music video shows clips from the new Penniless Princess DVD, and you can watch it here:http://www.youtube.com/watch?v=I5zlRABH9wQ. 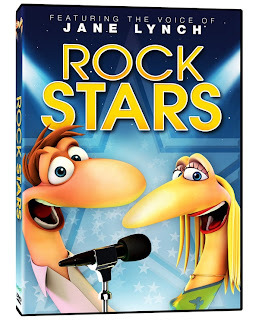 Other bonus features on the DVD include a special tour of London with the popular French Peas characters, a hilarious look at the history of the Teddy Bear, a discussion guide for parents, and behind-the-scenes clips." 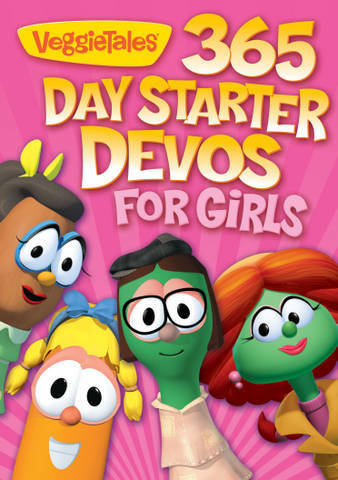 VeggieTales also offers up the "365 Day Starter Devos for Girls"
What we thought: This has got to be one of our favorite VeggieTales movies to date. 6 year old A actually got a little emotional watching it, but in my opinion that is the sign of a movie that is really touching her heart...the kind of movie that teaches a lesson that is going to stick with you. 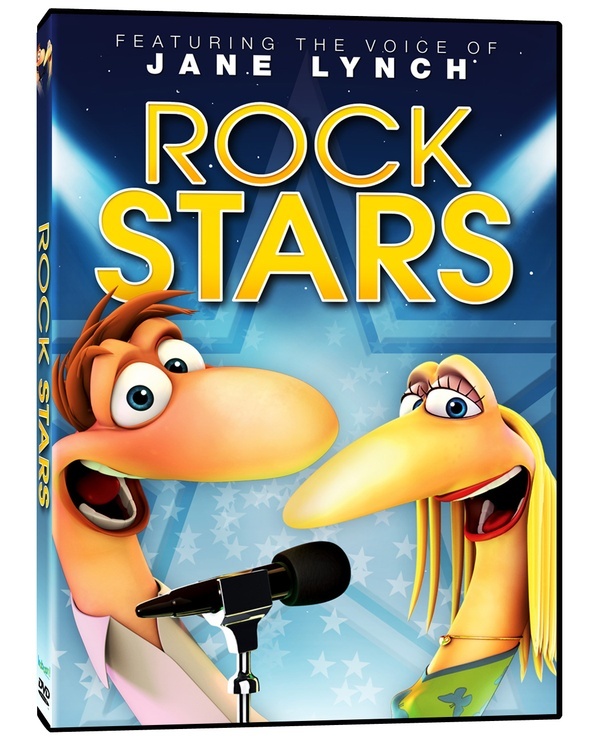 This DVD teaches young and old alike the importance of a positive attitude, the beauty of kindness, the value of self-worth and, of course, about the belief that God is always faithful and will always provide. A is also really enjoying the lessons she is learning from the Devo book. These are short, one-page devotionals written especially for young girls. They are written simply, are easy-to-understand and include a verse from the Bible. In my opinion, perfect for a daily interaction with God:) ABCD Diaries gives both The Penniless Princess and the "365 Day Starter Devos" book an A+! 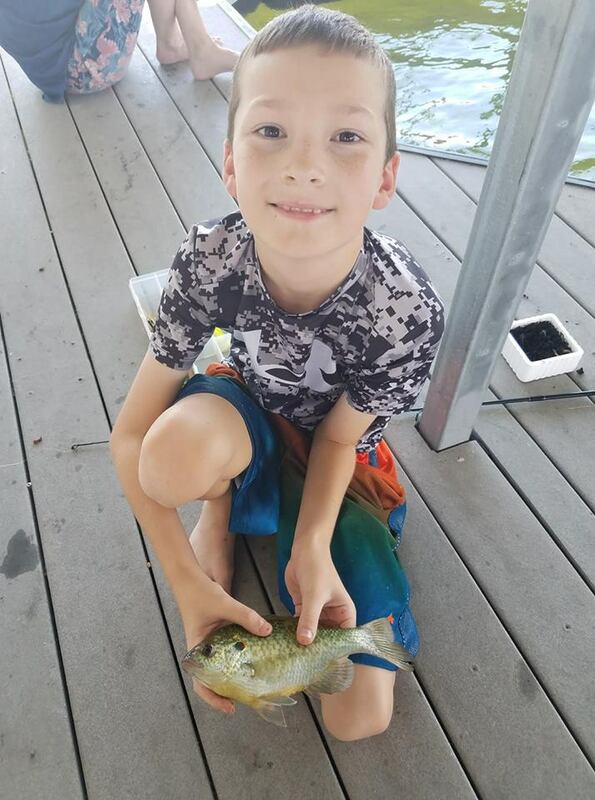 "Do your kids love trying new things and expressing themselves? 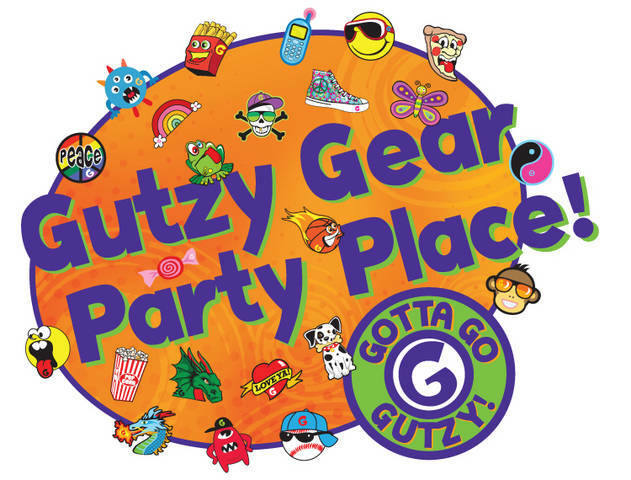 It takes gutz to be a kid today, and that's why we're excited to introduce you to one of the hottest new trends, Gutzy Gear. Gutzy Gear is a new and unique way for kids to express themselves by transforming a simple backpack into their own statement-making personality pack! The Gutzy Gear strap covers fit around just about any type of backpack, messenger bag, or rolling bag. But the creativity really begins with the super fun and totally custom line of patches called "Gutzies" that kids use to decorate their straps. Because they are removable with a simple tug, and require no sewing or ironing, Gutzies are meant to be swapped, traded, and shared between friends, for a custom look anytime that's as endless as your child's imagination. 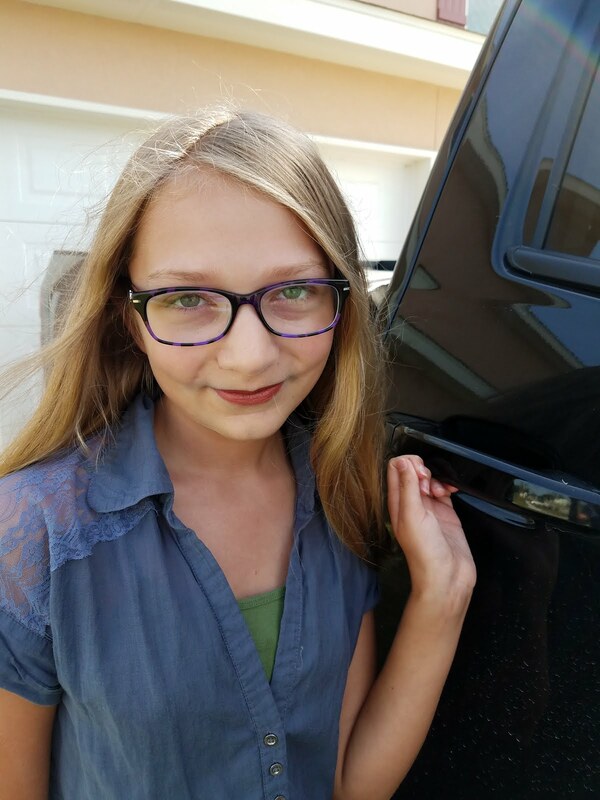 The great news is that Gutzy Gear is now available in great retailers like Toys 'R Us, Target, K-mart, Walmart, Office Depot and select specialty stores." What we thought: The kiddos were really excited to share these Gutzy Gear strap covers and patches with their friends just in time for back-to-school:) The straps fit every backpack we tried them on and with the large variety of patches, there was something to fit everyone's personality! 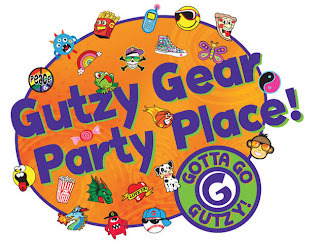 All of the kiddos had a ton of fun mixing and matching patches and playing the fun Gutzy Gear games included in our party kit. A said her favorite thing about Gutzy Gear is that it was like playing dress-up with her back pack and her back pack needed a makeover:) Funny girl! Several of the kiddos also mentioned that the covers made their straps more comfortable on their shoulders, so that's an added bonus:) Gutzy Gear strap covers and patcheses are a great way for kids to be able to express themselves and their individuality. ABCD Diaries gives Gutzy Gear an A+! Disclosure: ABCD Diaries is a member of MomSelect and was given samples for review purposes only. We were in no other way compensated. The opinions expressed in this post are ours and ours alone. "Echo MX-Pre-loaded with software that automatically activates when plugged in, providing automatic and continuous backup. The Lexar Echo backup flash drives provide a convenient way to quickly and automatically back up and protect documents, photos, videos and more. This high performance drive features an easy-to-read capacity meter and securely encrypts files. (Available in capacities from 8GB to 128GB with prices ranging from $29.99 to $234.99)"
What we thought: This backup drive was fantastic! 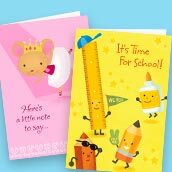 It was so easy to use and I love the peace of mind it provides...the fact that it can provide automatic and continuous backup is pretty impressive:) This would be perfect for back-to-school for the upper grades, college and even teachers! 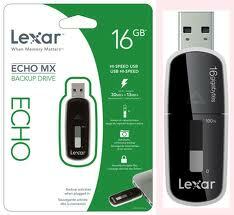 I've been using it to store my curriculum and it's really great:) ABCD Diaries gives the Echo MX from Lexar an A+! Find Lexar products at mass merchandisers and office supply stores nationwide or online. "Hot Peas ‘N Butter, the family oriented, multicultural, New York City-based touring band, announces the release of their first-ever lullaby recording: Catchin’ Some Peazzz. This new album of original lullabies and soft renderings of familiar songs will be available on August 28 (Sony/RED Distribution). Guest artists include pianist Rob Arthur (Peter Frampton Band) and virtuoso jazz guitarist Oz Noy. Hot Peas 'N Butter's new music video “Round the World,” will debut on the kids’ music video channel myKaZootv this month." What we thought: The mellow sounds of this CD were perfect for "quiet time." The songs are still a lot of fun to listen too, both the familiar and the new, and we loved the fresh musical stylings of some of our old favorites. We definitely enjoyed this side of Hot Peas 'N Butter:) ABCD Diaries gives this CD an A+! "Being away from home can be nerve-racking for all kids, whether they are heading off to sleep-away camp, daycare or day camp. 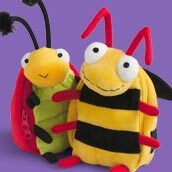 Send your child out the door with a buddy - new Bubele’s Patch Buddies (www.PatchBuddies.com) – the magical combination of a backpack, stuffed animal and blankie. Doctors agree that an easy way to fight the symptoms of separation anxiety is to give your child something that reminds them of home. Each toy unzips, revealing a blanket that’s the perfect size for cuddling on the go. Ideal companions for running errands, vacations, overnight stays at grandma’s and days spent at summer camp. 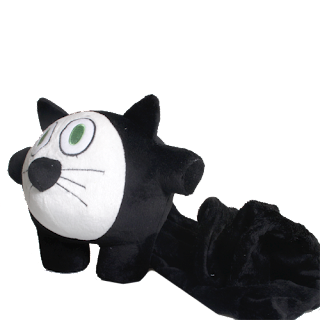 SRP: Plush toy, $14.99 each; backpacks, $16.99"
What we thought: Our kiddos really liked the Patch Buddies backpack we reviewed. They loved the cuddly little Kitty/blanket. This would be a great overnight bag for those sleepovers and trips to Grandma's house or used at daycare. 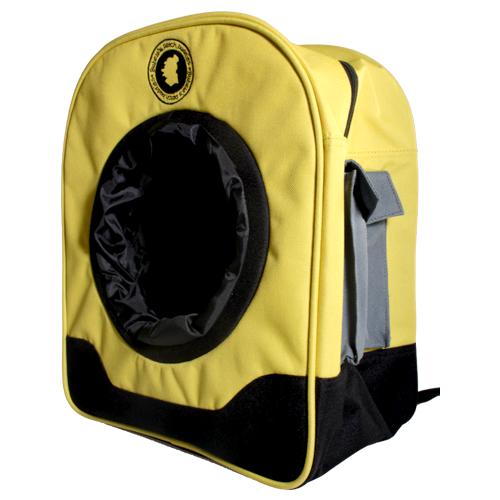 The bag is on the smaller side and with the animal in it, it probably wouldn't have enough room to be used as a school bag, but it would make a great kid-sized weekender:) ABCD Diaries gives Patch Buddies an A! Parents can learn more about the Patch Buddies at www.PatchBuddies.com, or on Facebook and Twitter. "Pilot Pen is the teacher’s pet for the back-to-school season, celebrating the art of writing and encouraging children to embrace self-expression and create their best ideas with A+ writing instruments. From the completely erasable FriXion pens and highlighters to the eco-friendly B2P (Bottle 2 Pen), made from recyled plastic bottles, and the classic G2 gel ink pen, America's favorite gel pen that lasts 2X longer than any other brand, Pilot makes BTS a breeze with classroom staples that take the stress out of school." What we thought: These Pilot Pens are super smooth, which I love! 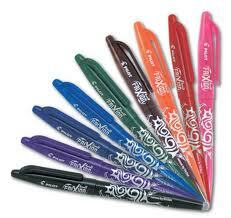 We especially love the FriXion pens since they are erasable. A actually asked if she could use them to make her math work "pretty" since she's normally only allowed to use a pencil and eraser. 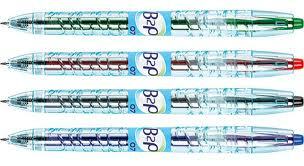 The FriXion pens work great for all of our writing, even math:) B really liked the B2P and the G2 pens. He's a clicker pen kinda guy. He carries them around every day at work and says they are very convenient. I haven't seen most of them since he confiscated them so I guess they work really well:) These Pilot pens are great for back-to-school whether you are the student of the teacher. We'll definitely be putting them to good use in our classroom on a daily basis! 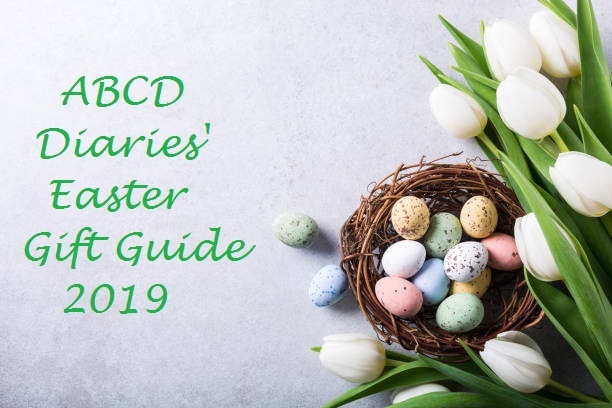 ABCD Diaries gives Pilot Pens an A+! 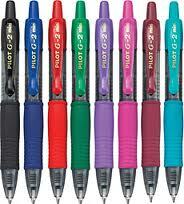 Find a variety of Pilot Pens at office supply stores and mass merchandisers nationwide. "With the end of summer approaching, there is no better time to take advantage and kick back to enjoy the sunshine with friends and family. 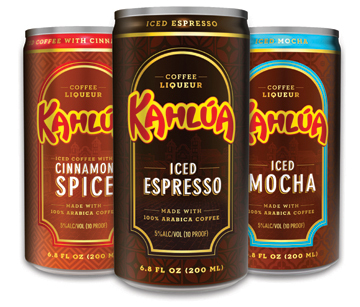 The newest and “coolest” must-have to bring along to any upcoming BBQ or relaxing rooftop soiree is Kahlúa Iced Coffee, the newly released premium offering of pre-mixed Kahlúa cocktails offering simple “grab & go” convenience. Kahlúa Iced Coffee delivers the artisanal taste of iced dark coffee using Kahlúa’s locally sourced 100% Arabica coffee beans from Veracruz, Mexico. Kahlúa Iced Coffee is sure to be the first thing grabbed to cool down on hot summer days and are the perfect addition to every backyard BBQ. Packed with flavor and only 150 calories, it’s Delicioso To-Go! These sleek and modern cans are available in three, coffee flavors for everyone to enjoy: Iced Espresso, Iced Mocha, and Iced Coffee with Cinnamon Spice." 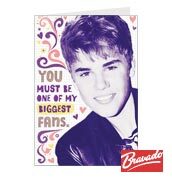 What we thought: Looking for a refreshing pick-me-up? Grab a can of Kahlua! The convenience of a can makes these icy drinks great for relaxing by the pool or at the beach or lake. These drinks are really tasty and great for sharing when you buy the 4-pack:) B is our resident coffee lover and he said he wouldn't mind keeping a few of these on hand and iced down for after work or the weekends:) ABCD Diaries gives these new Kahlua beverages an A+! "The Harmonica Pocket, a solar-powered Puget Sound based band, will release their third family music CD on August 14th. The 14 songs on Apple Apple reflect the band’s deep connections to the natural world as well as the humor and wonder of childhood. This truly green recording was produced off the grid at The Harmonica Pocket’s solar-powered studios on an island in Puget Sound. The Harmonica Pocket is part of the acclaimed Seattle area collective of family-centric musicians. Fellow “Kindiependent” artists Chris Ballew (aka Caspar Babypants) and Jack Forman (of Recess Monkey fame) and Johnny Bregar (whose songs are featured on Putumayo Kids CDs) appear as guest artists on Apple Apple. The Harmonica Pocket won a Parents’ Choice for their second children’s album Ladybug One, which also won acclaim from Seattle Times, San Jose Mercury News, New York Post, Parentingand Time Out New York magazines among others. Like Ladybug One, the vibrant cover art for Apple Apple was created by Matthew Porter. Kids might learn a thing or two from these songs, including how to count to ten using stones on a beach (“I’m Gonna Count”). They might begin to sound out the syllables for words like apple and banana in the title song, and they might learn a little patience from “Waiting Takes a Long Time.” But the impetus for this release is more related to the world around us: “Wood and dirt and sky and earth*h/Beaks and birds and leaves and worms” (a lyric from the song “Bare Feet”). In fact, The Harmonica Pocket is in the midst of a busy summer of performances at libraries and festivals around the Northwest. Their show delivers highly interactive experiences that get children (and their grownups) singing and moving in their seats. Audiences don't just sit back to be entertained. With swinging story-songs, hula hoops, and a suitcase of props, The Harmonica Pocket mixes up music, dance and imagination games into a gigglish jambalaya." What we thought: We enjoyed the smooth. mellow sounds of The Harmonica Pocket. "Apple Apple" was full of fun, sweet songs. We were very interested to learn that the band is solar-powered...very impressive:) There is definitely educational value in this CD and we love teaching our kiddos through music. What a fantasstic addition to our children's music library:) ABCD Diaries gives "Apple Apple" an A+! "With a nine year track record of mixing authentic bluegrass, down-home humor, and original, progressive songwriting, NYC’s premier bluegrass band for all ages, Astrograss, pulls out all the stops with the October 16 release of their third CD, The Colored Pencil Factory (Smoggy Borough Records, $15.00, for all ages, run time 49 minutes). 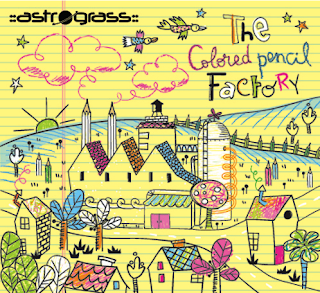 Every song on The Colored Pencil Factory celebrates imagination and adventure with high energy and high enthusiasm in a blend of old-time Appalachian mountain music, traditional bluegrass, progressive bluegrass/newgrass, and even a bit of Eastern European folk music. Two years in the making, The Colored Pencil Factory presents a living document in song, showing how a traditional art form like bluegrass can speak of the joys, dreams, and even the troubles of today's kids in a musical language saturated with cultural history. Notes Astrograss's Jordan Shapiro, "I believe that bluegrass music, and all American folk music, is essential listening for kids, and I also believe that the purity of the music is important. We made The Colored Pencil Factory without the use of any amplifiers, drums, pedals, or 'effects.' We recorded the album in our fiddle player's living room and played the songs just the way we'd play them at a park or in a kitchen. It's pure, organic, natural Americana." In addition to engaging settings of traditional tunes like "Shortenin' Bread," "Cluck Old Hen," and "Sail Away Ladies," the album showcases a collection of new songs by the team of Jordan Shapiro and Joe Grossman. Shapiro and Grossman have been writing together since 1995, and their musical collaboration over the past 17 years has received accolades at venues ranging from off-Broadway theaters to bluegrass music festivals." What we thought: We love Astrograss! 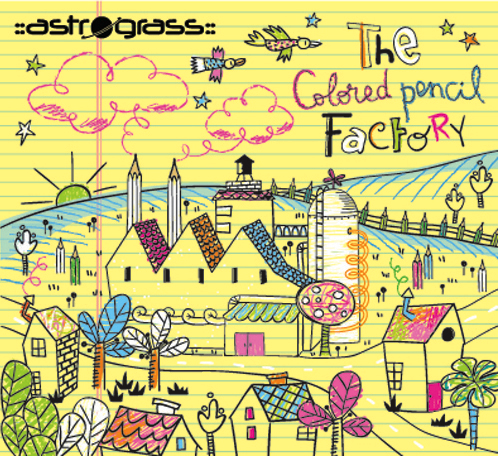 "The Colored Pencil Factory" is a fantastic CD full of upbeat tunes and catchy lyrics. The kiddos loved this CD and so did I:) The music is authentic and we love that it's all acoustic. Another great addition to our children's music library! ABCD Diaries gives "The Colored Pencil Factory" an A+! "Summer means outdoor playtime, lazy days at the beach and lots of backyard barbeques. But what do you do when rainy days roll around? Don’t fret! Phase 4 films is releasing eight new family-friendly films that are sure to keep kids entertained rain or shine! All films will be easily accessible to rent at Redbox locations and for purchase at retailers nationwide starting this summer." What we thought: These were both really great animated family films! The kiddos laughed along with the funny characters of "My Friend Bernard" and danced and sang with the colorful characters of "Rock Stars":) Both films teach lessons of bravery and confidence and are really fun to watch...even for Mom:) ABCD Diaries give these Phase 4 Films an A+! "Redbox and Phase 4 Films are giving you the chance to win great prizes, including one of three grand-prize family vacations valued at $10,000 – $15,000! Prizes include a seven-day vacation for four to the Kennedy Space Center in Florida and round-trip tickets for four to Toronto and the chance for a walk-on role on Nick Jr.’s Dino Dan show. Enter the sweeps by picking up one of the “Family Fun” movies at any Redbox entering an email address at checkout. To enter without renting a DVD, to obtain more information or to check out the official rules of the sweepstakes, visit Redbox Summer Family Fun. To find a Redbox rental location near you, go to http://www.redbox.com/locations." Disclosure: ABCD Diaries was given copies of these movies for review purposes only. We were in no other way compensated. The opinions expressed in this post are ours and ours alone. a fight to find Mia's father and save the Tree." What we thought: This is a pretty cute movie with a really great message. 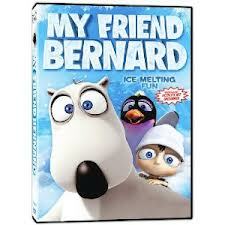 It is entertaining, but also teaches the younger generation about taking care of our Earth. 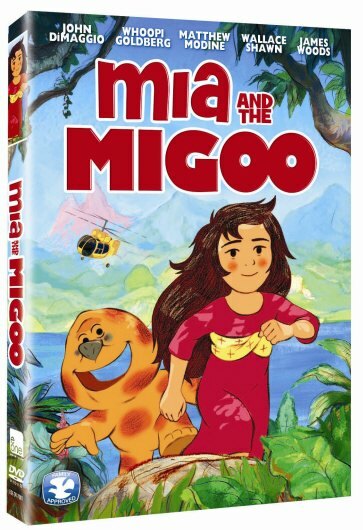 Mia and the Migoo is full of fun and colorful characters and features an incredibly talented cast. It can be a little dark at times and there is some adult language used so it is probably more appropriate for older kiddos. Overall, we think this would make a great end-of-summer movie/lesson for ages 8+. ABCD Diaries gives Mia and the Migoo an A! "INDIA’S SUMMER by Thérèse is the story of India Butler, single and about to turn forty, who travels from London to LA to reinvent herself. In a world illuminated by the flashbulbs of the paparazzi, she discovers the true meaning of “having it all’ while spending the summer with her sister Annabelle, a famous Hollywood actress, and her brother -in -law, a legendary rock musician. India is in her element until her new life in LA unravels." What we thought: "India's Summer" is a wonderfully written story. India Butler is a lovable and memorable character and I found myself rooting for her throughout all of her trials and tribulations. This story could only happen in LA and Therese really makes the reader feel like they are right there along for the ride with her vivid description of the people, places and most notably the fashion. She is well-versed in the "lingo" and this makes the story even more fun to read. This book is a fantastic end of summer read:) ABCD Diaries gives "India's Summer" an A+!